Welcome to Marion Youth Sports! 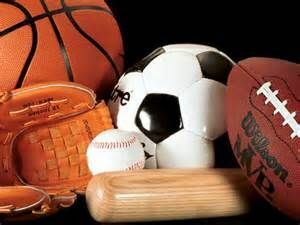 Marion Youth Sports is the online home to several youth sport organizations in Marion,IL. Visitors can find more information about each organization or sport by clicking on the horizontal tabs across the top of this home page. You can also review recent events about each organization in the Club news on the right side of the home page. Below is a list of upcoming or open youth sport registrations. Summer Baseball and Softball Registration Opens March 1st, 2019. To register for any program start by clicking the REGISTER NOW button in upper right hand corner of home page. Register as a new member to receive updates! If you are new to the area or have never registered a player on our website you can register today as New Member by clicking the Orange REGISTER NOW button then choose New member registration. You will be required to open a new account. When you open the new account please enter all your family members information, this will make it easier for you register your players in the future. Moving forward you will receive emails regarding upcoming events and registrations. If you have any questions please feel free to click the feedback button located on the left side of this home page, and we will be glad to help you any way we can.